The Professional Development Center has provided organizational development consulting and leadership coaching for 15 units/teams and 25 managers/professionals in the last two years. As a result of a campus-wide professional development initiative, there was a statistically significant increase in the quality of the deliverables 68 managers were asked to produce. Washington, D.C.—The American Association of State Colleges and Universities (AASCU) has announced this year’s Excellence and Innovation Award winners.  Buffalo State is among the 10 campuses honored. The Professional Development Center designs, facilitates, and coordinates opportunities for staff, faculty, administrators, institutional units, and campus constituent groups to enhance personal, professional, leadership, and work team effectiveness. We provide opportunities for individuals and teams to learn, develop, problem solve, innovate, and collaborate to support the mission, vision, values, and goals of the campus community.